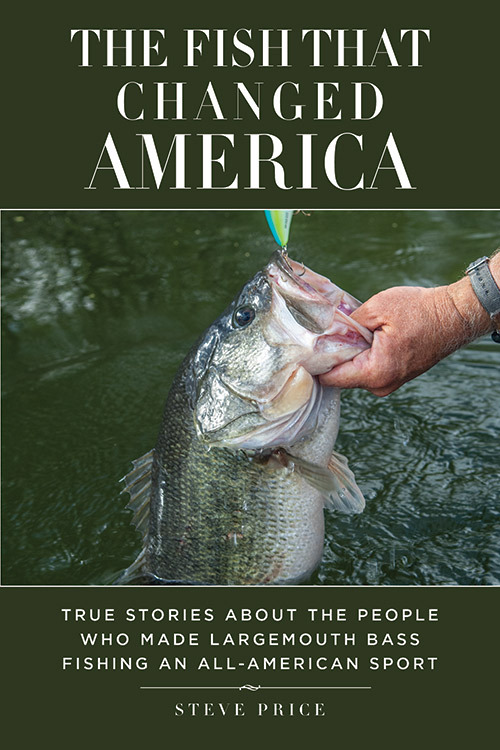 Regardless of whether you’re a serious fisherman, only an occasional weekend angler, or someone who simply enjoys reading about the sport, you’re sure to enjoy Steve’s latest book, “The Fish That Changed America.” It’s an oral history of how bass fishing changed from a quiet pastime to a $100 billion worldwide business, told by the very people who created that change. Divided into seven separate categories, such as Lures, Boats, Lakes, and the Business of Bass Fishing, Steve lets men like Trig Lund, the last surviving member of the original Heddon Company staff, Bill Lewis, designer of the iconic Rat-L-Trap fishing lure, Jack Wingate, an early fishing camp owner on Lake Seminole, and Paul Allison, who cupped the first outboard propeller, tell their own stories. Virgil Ward, Dee Thomas, Bill Dance, Forrest Wood, and Tom Mann are also among those included. With each category, Steve also includes complete background of that particular topic, detailing, for example, how the Corps of Engineers began constructing the dams that formed today’s bass lakes, how Ole Evinrude started his famous outboard engine company, and how Johnny Morris created the first superstore of bass fishing, Bass Pro Shops. “The Fish That Changed America” is not a book about tournament bass fishing. Rather, Steve takes a wider view of the entire sport and shows how different facets of bass fishing meshed together perfectly at the same time, leading to the state of the industry today. It’s a book you’ll be proud to own, and will read again and again, because many of the stories Steve describes – all of them true – will never happen again. A standing room-only funeral for a bass? It’s here. A national bass fishing magazine that started in a pickle box? A television infomercial that changed how fishing is marketed? An angler who won one million dollars in a single tournament? The man who fished with George Perry the day he caught his world record bass? They’re all here, told by the individuals who lived them. Published by Skyhorse Publishing, “The Fish That Changed America” is available in hardback for $24.95 from Amazon.com, Barnes and Noble, and other bookstores nationwide.